What is the Michigan Rural Property Inventories (MRPI) and why is it important to MBPN? The Michigan Historical Center is a vast repository of physical and digital documents of varying historical significance. 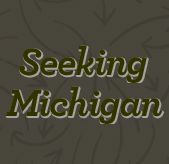 Seeking Michigan is the online platform for the Michigan Historical Center. It includes Archives of Michigan research guides and indexes, a blog, and educator resources – all from the Michigan Historical Center and Archives of Michigan staff. Included in the collection is the MRPI, both hard copy and a partial digital collection. During the Great Depression, the Michigan Department of Treasury collaborated with the Works Progress Administration to undertake an extensive survey of nearly all land parcels in the state (excluding Wayne County). The survey served two purposes: it provided jobs for unemployed engineers, land surveyors, and appraisers while giving the state a basis for assessing property taxes. The project started late in 1935 and continued until 1942. 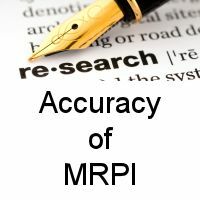 There have been a number of research projects associated with the MRPI. Dr. Joanne Westphal published “Accuaracy of the Michigan Rural Property Inventory (MRPI) for Historic Land Use/Land Cover Deteminations”. 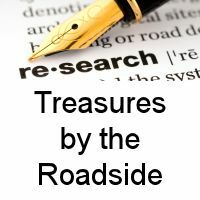 Additionally Grant Bauman published “Treasures by the Roadside: A Look at the Centennial Farms of the Old Mission Peninsula using the Michigan Rural Property Inventory”. We have provided four links below. Each link will take you to the information details of what has been described above. The MRPI is a valuable tool for MBPN members needing a research tool for rural properties and their structures back to 1935.